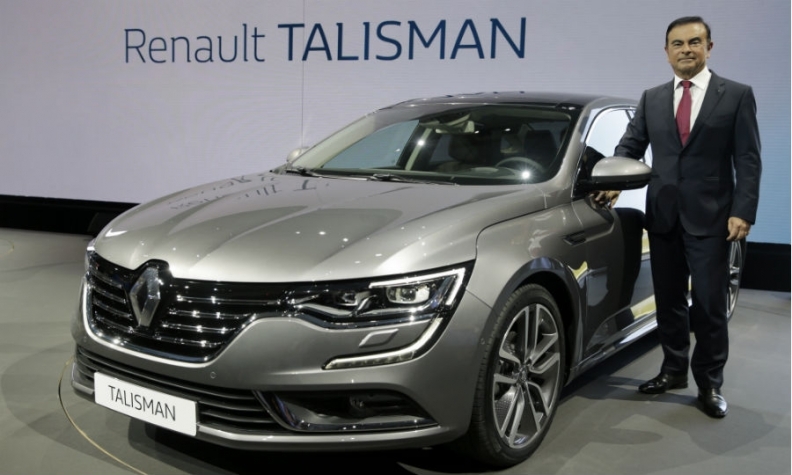 Traditional automaker expertise used to design cars such as the new Renault Talisman midsize sedan will also be needed for future self-driving cars, Ghosn says. FRANKFURT (Reuters) -- Renault-Nissan CEO Carlos Ghosn said aggressive hiring of auto industry executives by software companies shows how vital it is for new players to understand manufacturing and vehicle design. The increased use of computing power in vehicles has sparked fears that carmakers could suffer the same fate as some computer manufacturers. These became dependent on outside companies to write an operating system - a step which allowed software makers to eventually harvest most of the profits. The complexity of cars means it will be tough for new players to enter the auto industry. "I think when you are talking about autonomous drive, this is not something that you can add to the car," Ghosn said, adding that the vehicle will need to be designed as a self-driving car from the ground up, giving traditional manufacturers an important say. "That is one of the reasons you are seeing the outsiders massively hiring engineers from our industry. Why? Because they need to understand the product more in order to make the transformation they think they can make," Ghosn said at a press conference here Wednesday. As cars become more connected to smartphones, opportunities for new business models are emerging. These put less emphasis on ownership and could open the door to companies which manage and rent out fleets of cars, charging users a fee for time spent in a car. Earlier this week Google named auto industry veteran John Krafcik, a former head of Hyundai Motors America, as head of its self-driving car project.